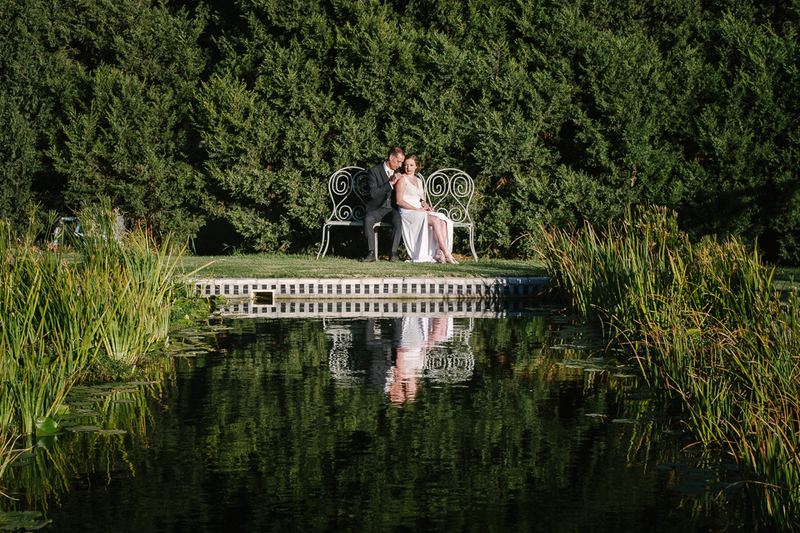 Erin and Oded tied the knot at their beautifully relaxed and elegantly laid back wedding at Belair in Franschhoek, situated in the Cape Town winelands. 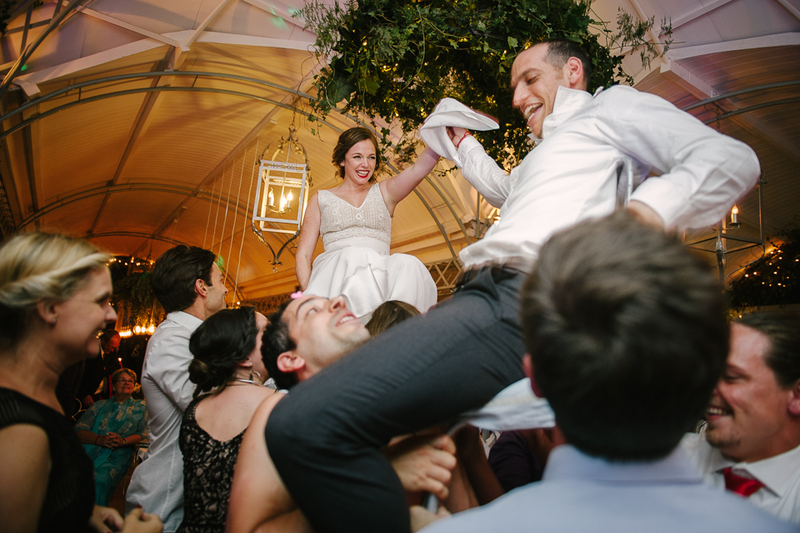 Their Jewish wedding was a stylish celebration that their guests won’t easily forget, and one that our team of Cape Town Wedding Planners loved being a part of. Erin, from South Africa, and Oded, from Isreal, live together in Jerusalem so they needed a little help to pull together what they had in mind for their big day, which meant choosing a Cape Town Wedding Planner with experience and an established network in Cape Town weddings, so we were thrilled to have been enlisted for such an important job! 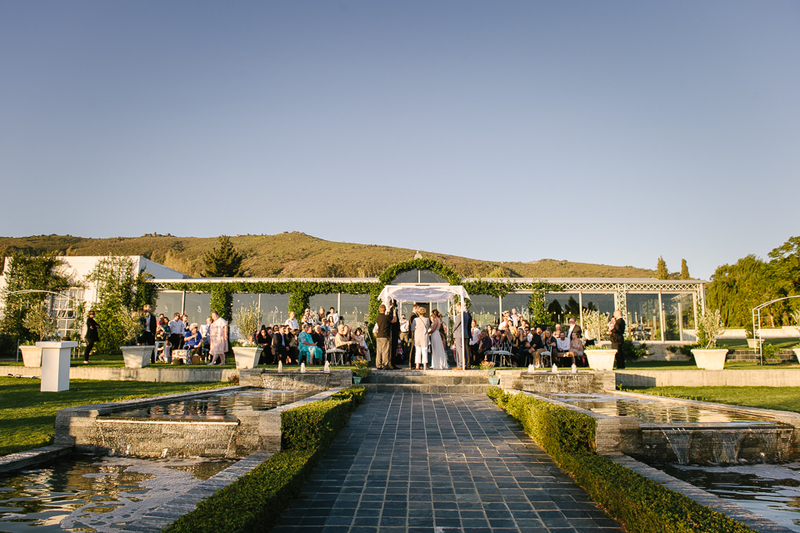 The couple chose Belair, a wedding venue in Franschhoek to host their Cape Town wedding and celebrate the night away with their guests. 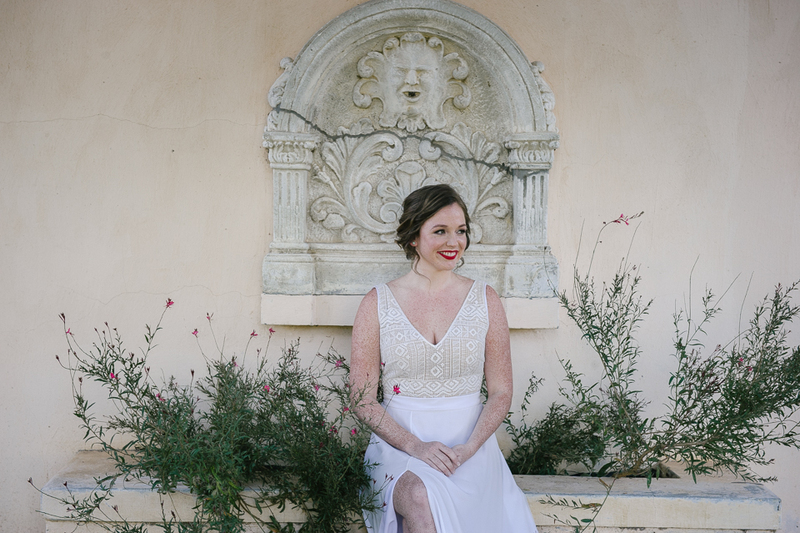 Erin was a vision of romantic, boho beauty with a touch of barefoot flower-power fun. How elegant and unique were her little anklets she chose to wear instead of shoes? Erin’s hair and makeup were expertly done by one of our favourites, Cecilia Fourie Hair and Makeup and we just loved the bright plash of red used on Erin’s lips for the romantic occasion. 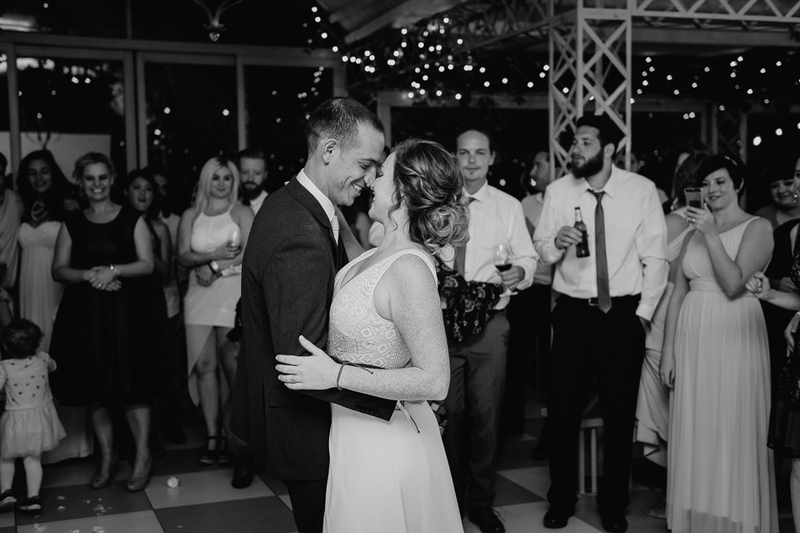 Erin and Oded were relaxed and really focused on the most important parts of their big day and wanted to make sure they enjoyed every moment with their friends and family, who came from all over the world to witness them exchange vows. Bright blue skies and not a breath of wind. 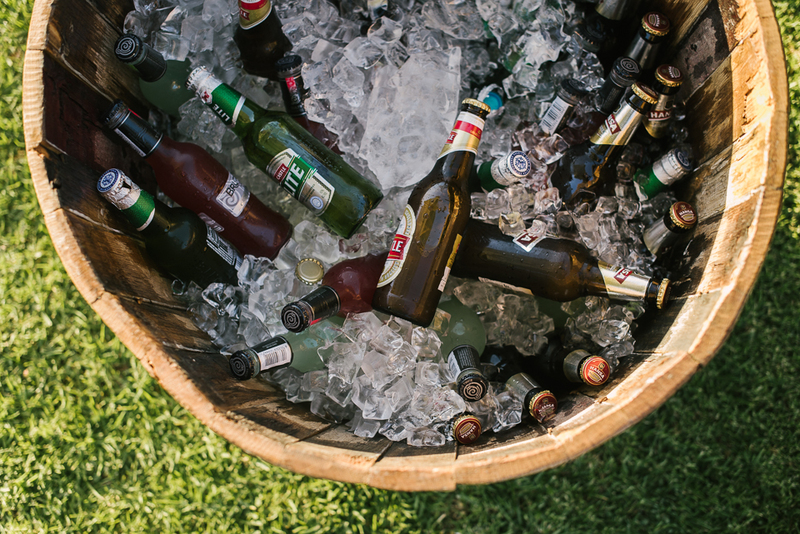 It was just the perfect day for a Cape Town wedding! The couple said their I do’s under a simple yet chic white four posted chuppa which married tradition together with a modern look for their Jewish ceremony. 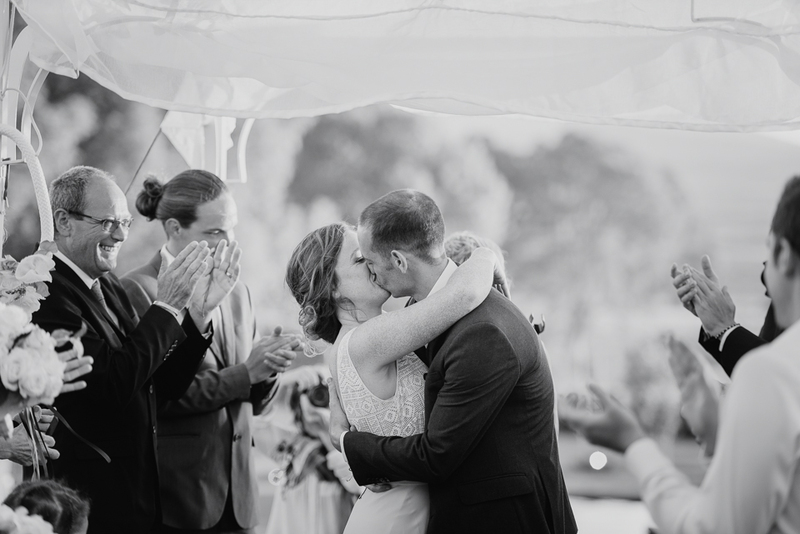 The wedding ceremony under the chuppa ended with a picture perfect kiss! 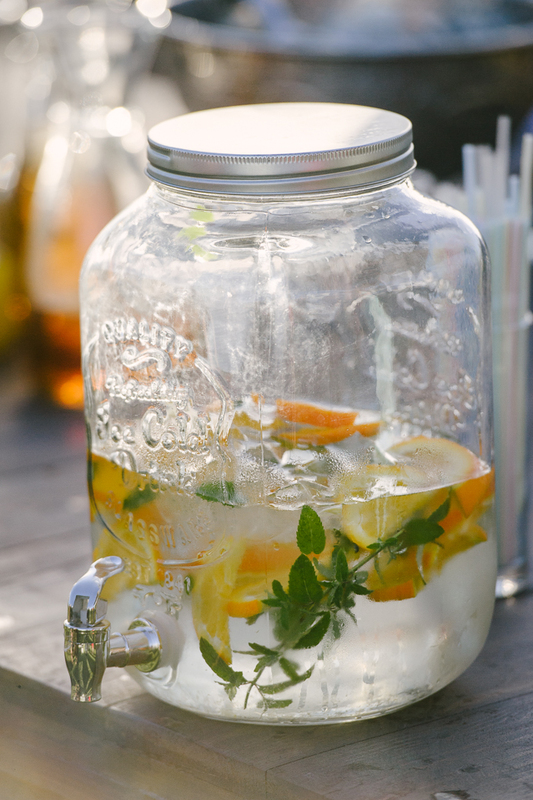 Cocktail hour was a chilled affair, with beers on ice and fresh fruit infused water served to the couple’s out of town guests, soaking up the South African sun just before it set behind the Franschhoek mountains. The décor, perfectly encapsulated the couple’s natural and romantic vision for their wedding, thanks to the skilled team at Puccini Creations. 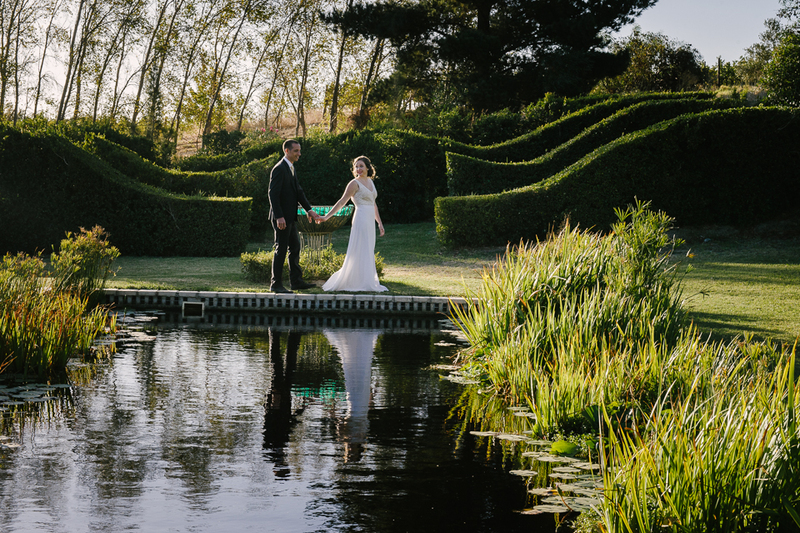 The couple’s laid-back natural-elegance theme was effortlessly carried through to the reception where trending greenery colours were used to create the feeling of forest greens creeping through the walls of a forgotten fairy-tale castle. 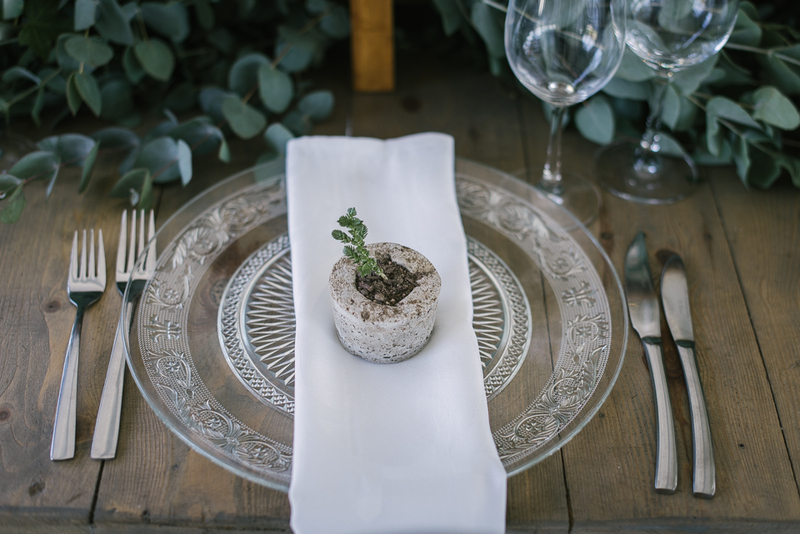 We just loved their enchanting little guest favours which tied the understated yet elegant table place settings together so naturally. 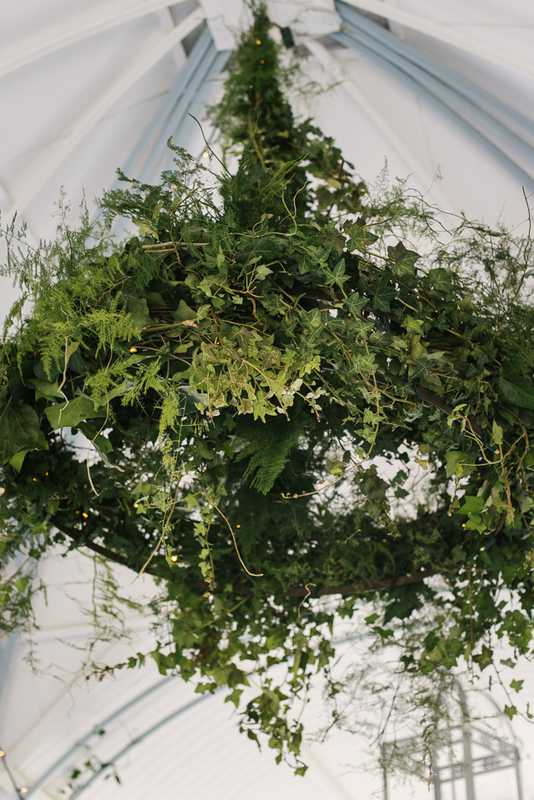 The ivy-enveloped chandeliers were a lovely and easy way to add to that ethereal romantic atmosphere that we had created for Erin and Oded to start off their new and exciting chapter in life together on a high note. After an incredible family-style dinner served along the tables by the fabulous Two Chefs team, it was time to get the party started. 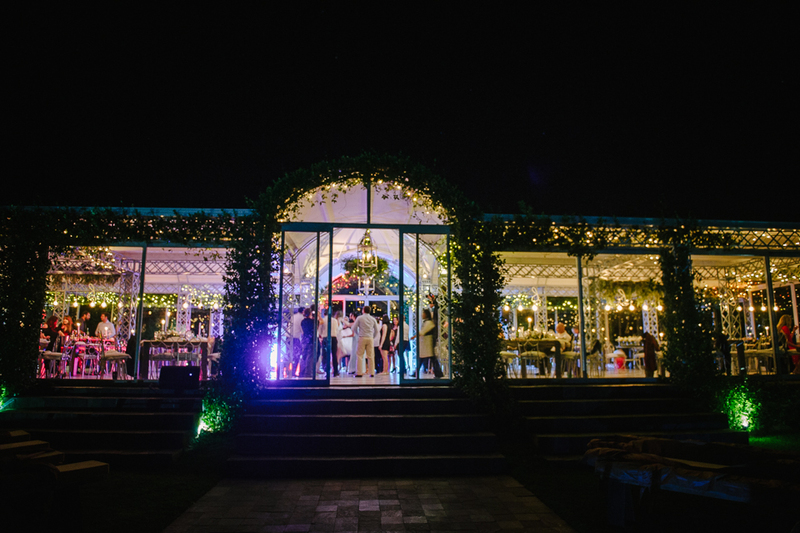 Surrounded by soft fairy lights, the energy of all the overflowing love and joy that was felt by Erin and Oded’s family and friends had everybody partying the night away on a classic checked dancefloor. 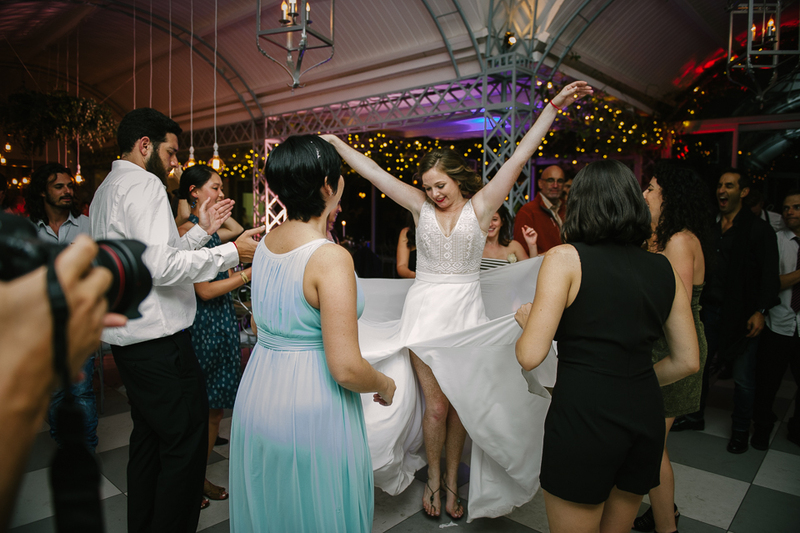 And of course, as you’d expect from any Jewish wedding, plenty of traditional festivities were enjoyed by all on the dance floor. Followed by a good ol’ fashioned party, with music pumping from the decks of The Weddings DJs. 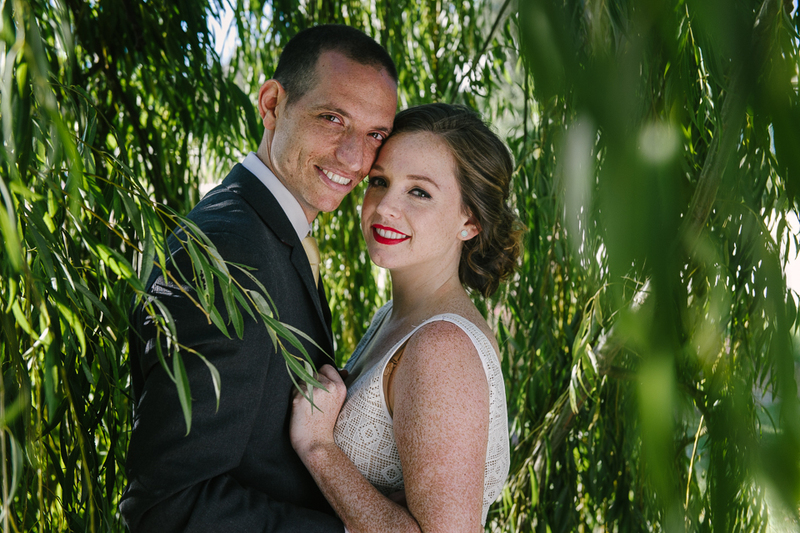 The connection between these two was just magical and we couldn’t have been luckier to have been chosen as Erin and Oded’s Cape Town Wedding Planners! 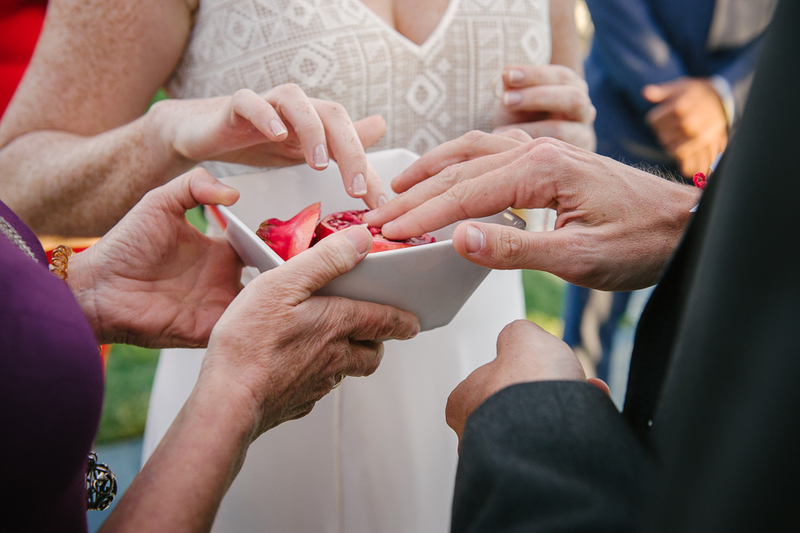 This wedding was planned by our Cape Town Wedding Planner team at Nicolette Weddings, and beautifully captured by Lauren Kriedemann Photography. 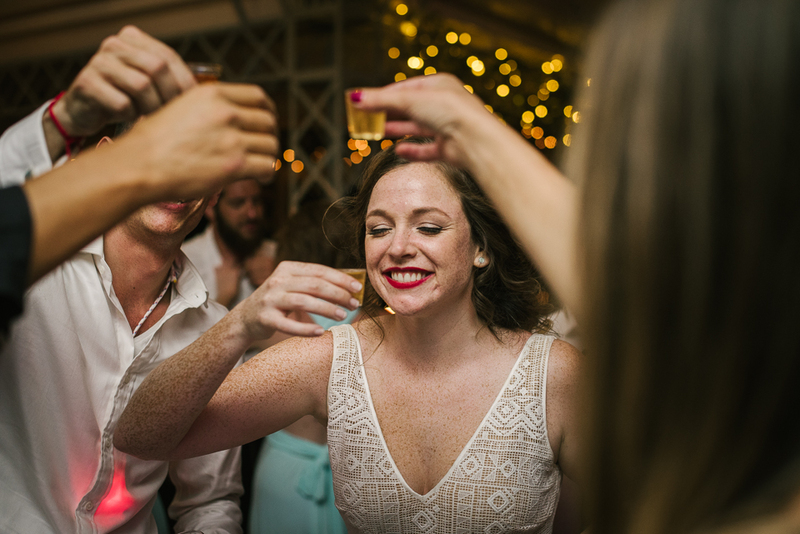 To see more of this gorgeous Cape Town Jewish wedding’s gallery, please click here, and to get in touch with our Cape Town wedding planner team, please email us by clicking here.